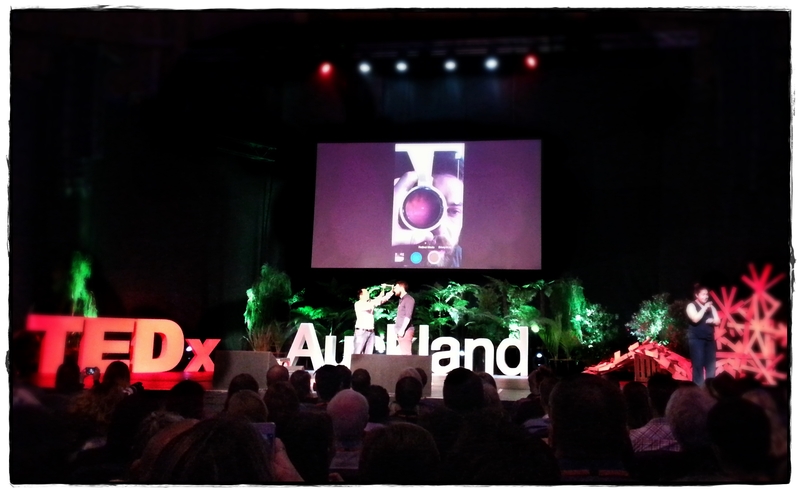 Seated amongst 2200 people in the recent TEDx event in Auckland, it was pretty easy to be overawed. The draw-card was the inclusion of 4 scientists and an artist. That immediately piqued my interest. Having seen a number of presentations online and being a keen Toastmaster, I also wanted to see what it felt like – right there, seated among 2200 others, listening to talks over the course of an entire day. Where good communication is merely challenging, great communication really is an art form. It was a rare time of feeling truly invigorated after a full day of listening, and not torpid as a result of being overloaded by 1. Dull information, or 2. Interesting information presented in a really dull way. TEDxALK2015 was no ordinary series of presentations. The content of each was honed to near perfection, although the delivery was purely personal. There were precious few graphs. The data in the few that were employed were clear and the speakers gave the story of the data, rather than just rattling over the data itself. The imagery chosen either illustrated a point or provided a point for reflection. So, apart from great stage presence, delivery and visuals, what makes a great TED talk? The following notes are my personal observations that the talks, irrespective of their subject matter included in some way. This is what gave the talks their strength. Framing the content of the talk in the bigger picture by connecting private to public; local to global, and personal to universal. Sharing the passion for the subject matter by blending humour with poignancy; juxtaposing quiet calm with action, and balancing similes with metaphors. Bringing novel insights to subject matter the audience may not be familiar by using great data enriched and enlived by great stories. If there was a meta-theme running though all talks, it was one of connectedness: the need for connectivity to others and to the environment. So much inspiration in a single day was quite overwhelming – I made the 2 hour drive home only with the help of a large bar of dark chocolate and a some medicine for a whopping headache. It was worth it.